Home »Prohibition Era Medicinal Whiskey » Prohibition Medicinal Whiskey Brands Don’t Matter — Distillers Do! The biggest thing I have learned from collecting prohibition medicinal whiskeys is that the brand doesn’t matter the vast majority of the time. For example, I have a 1/2 pint Old Fitz and a 1/2 pint Waterfill and Frazier. Both were distilled by Mary M. Dowling (one of the most fascinating female distillers of all time. Read this: http://pre-prowhiskeymen.blogspot.com/2014/01/how-mary-dowling-outwitted-national.html). The juice in both is the same but the brands are completely different. The Waterfill and Frazier is correct in that the distiller matches the brand, which is very rare when it comes to prescription regulated booze. The Old Fitzgerald, not so much! 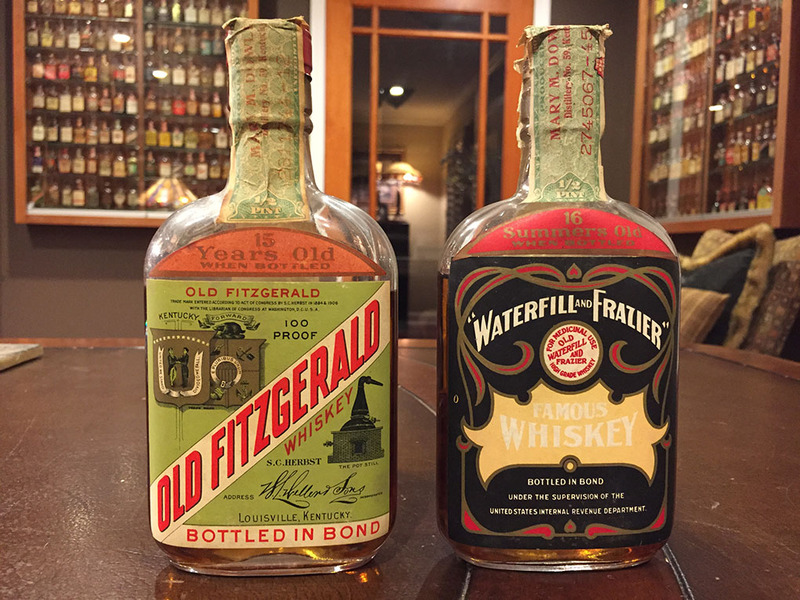 Notice how the Old Fitzgerald is 15 years old and the Waterfill and Frazier is 16 “Summers” old. Marketing at its best, wouldn’t you say? In a nutshell, with prohibition era medicinal whiskeys, the most important thing to pay attention to is the tax stamp and NOT the main label. Cheers!